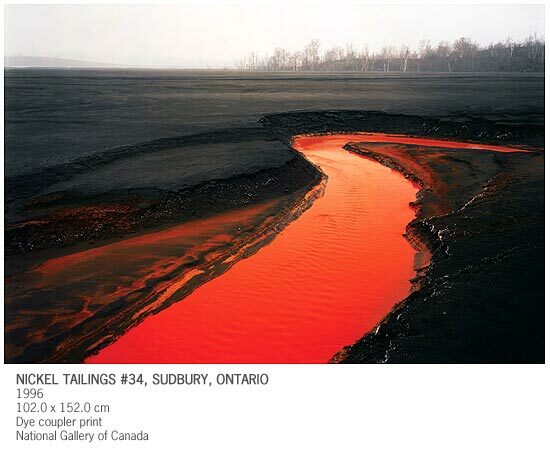 Big thanks to Anne Galloway for highlighting the photos of Edward Burtynsky. Really nice images from a variety of man made landscapes. Sort of like an inverse of Gursky. All of Burtynsky's work focuses on marginal industrial spaces that few people ever see, while Gursky takes a very similar eye to areas right in the core population areas.